It is responsible for all phases: start the browser, run the test, collect test results and generate reports. TestCafe does not require a browser plugin, it is out of the box in all popular modern browsers. 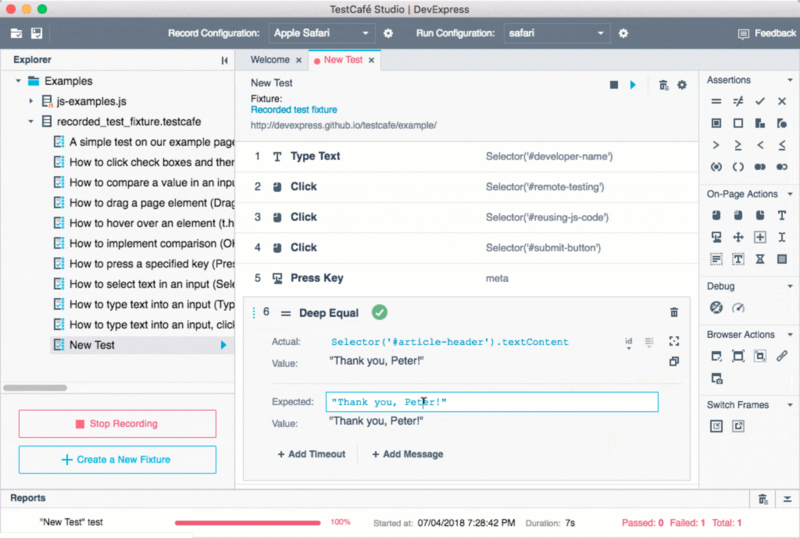 The TestCafe’s Test API includes a high-level selector library, assertions, etc. You can combine them to implement readable tests with the PageObject pattern.